If Snapchat is still just a little too confusing for you, Instagram might have a solution. The Facebook-owned company today revealed a new feature that resembles one of Snapchat's most popular attributes: "disappearing" photos and video. "Instagram Stories" could help you find a happy medium between over-sharing and under-sharing. 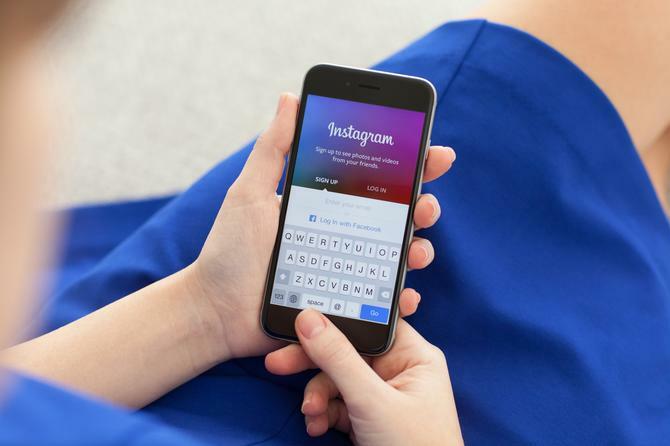 As the feature rolls out globally via Android and iOS during the coming weeks, Instagram's 500 million monthly active users will gain access to a daily feed of photos and video that resets after 24 hours. The photos and video added to the Instagram Stories feed will "disappear" after 24 hours and won't appear in the main Instagram feed or in the grids on users' profiles, according to the company. Instagram Stories will appear in a bar along the top of the app, that highlights people with recent Stories. When you add multiple photos or videos to those Stories within 24 hours, Instagram will automatically fuse them together as a slideshow. Facebook has tried to copy Snapchat many times, with failed apps such as Poke and Slingshot. And it has regularly updated Instagram with new features and functionality. 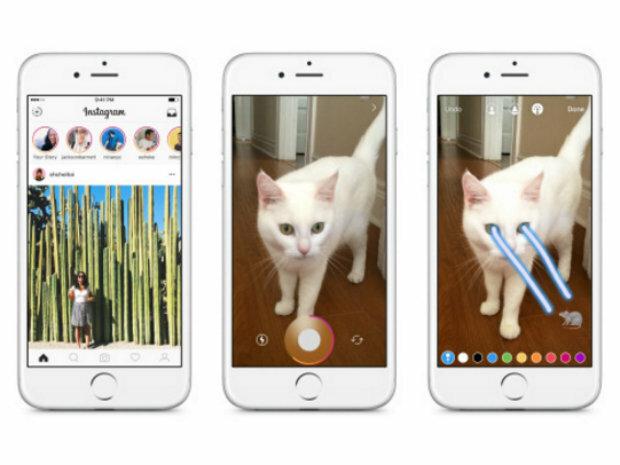 However, Instagram Stories marks the most radical change to the app in nearly three years. "Instagram is aiming here not to displace Snapchat necessarily but to shift some usage from Snapchat to Instagram among people who use both apps," says Jan Dawson, chief analyst and founder of tech research firm Jackdaw. "It's about not giving people excuses to switch to a competing app for features that have been exclusive to those in the past." Casual sharing has never been Instagram's forte, but Snapchat has also evolved significantly from its early days as a purely "ephemeral" messaging app, according to Dawson. While permanent sharing and temporary sharing have been largely kept to dedicated and separate apps, such as Instagram and Snapchat, there's nothing that precludes these companies and others from adding features popularized by competitors. The copying and borrowing between Instagram and Snapchat has been particularly active this summer. Snapchat made a move on Instagram's turf less than a month ago, when it released "Memories" and gave users a tool to preserve and curate the content they share for future viewing. Today, just 27 days later, Instagram followed up with a snap of its own. "Users benefit from this copying, because it helps them avoid having to use a million different apps for different use cases," Dawson says. "The key is to keep developing new, unique features while also borrowing the best of what's worked in other apps, and to maintain an appropriate balance between these two." Instagram has traditionally gravitated to a glossy aesthetic with high-quality photography and video. The company's Cofounder and CEO Kevin Systrom has repeatedly called out this aesthetic as a defining characteristic that differentiates it from other photo, video and messaging apps. "If you want to take a simple photo that you don't really want to remember and post it to have your friends not see it after, there are great networks for that," Systrom told Systrom told The Hollywood Reporter just last month. Instagram Stories "will be a big deal for certain classes of users, and especially those in the sort of target age groups that tend to engage in the most ephemeral sharing, and who are the biggest users of Snapchat," Dawson says. However, it could also clutter the interface, and the company will have to tread carefully so it doesn't detract from the overall experience, he says.